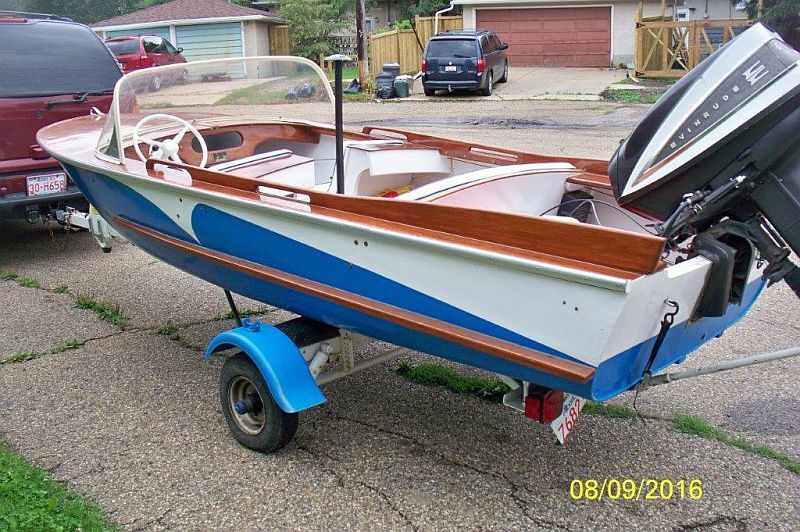 1957 15′ FULCRAFT (mfg in Edmonton) fully restored Mahogany deck and fins, fibreglass hull with a restored 1962 Evinrude Lark 40 HP motor complete with a restored “Tee-Nee Trailer. The engine was overhauled a few years ago during the restoration and runs well. I doubt if there are 50 hours on it. New upholstery and front jack. Leg resealed by Budget Prop. 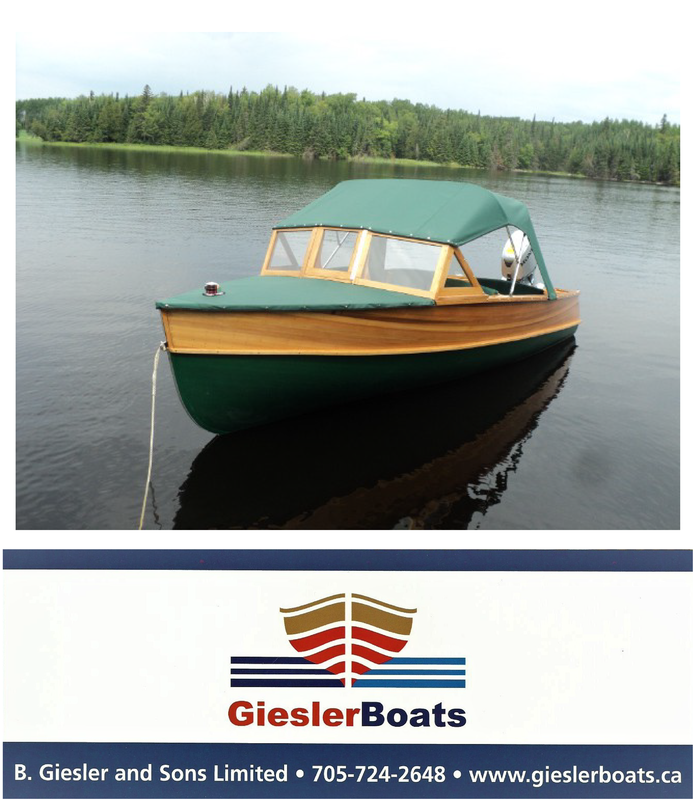 This is a wonderful little boat. Starts right up with a turn of the key. 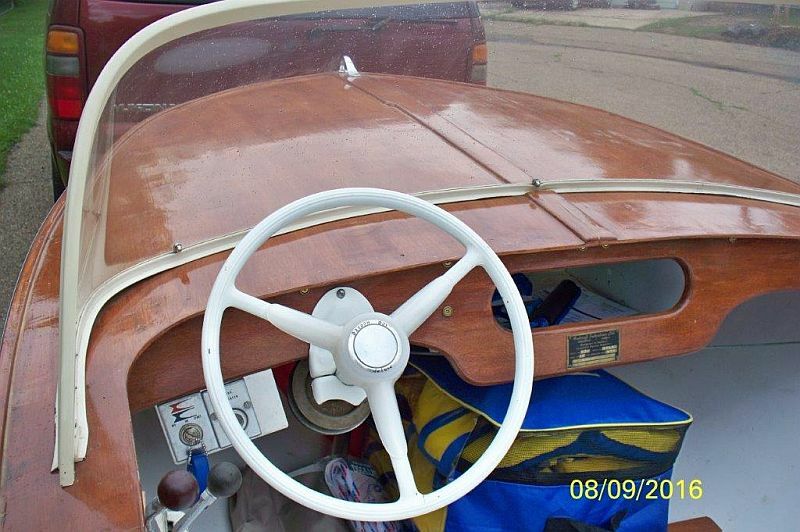 Comes with a boat cover, motor cover and motor prop. 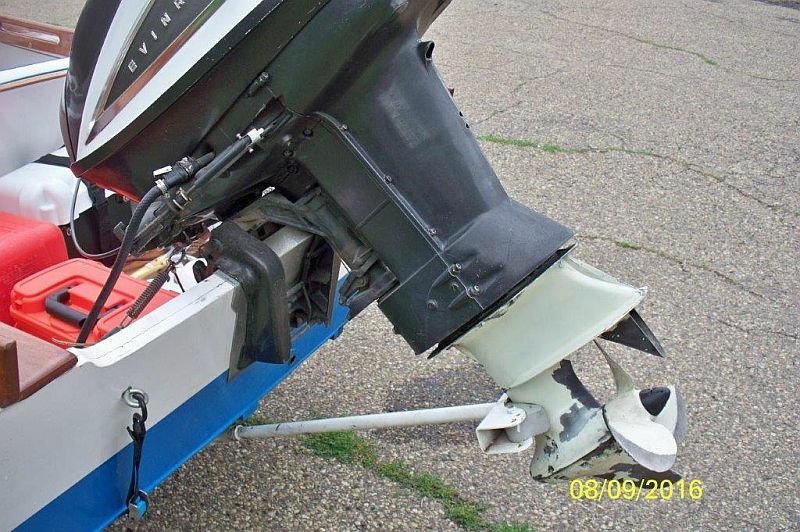 Health forces me to sell this boat as I haven’t been able to use it at all. My price is $4500.00 and I have more than that in it for sure. Still lots of summer left so give me a call at 780-499-5886. 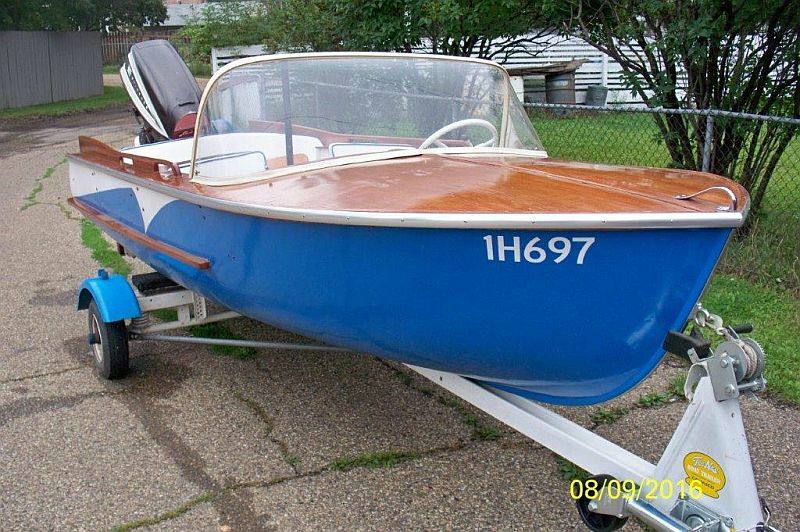 ← Two of our newest listings: 21 ft. Lyman and J.H.Ross runabout.